This JTB Catenary app for AutoCAD makes it easy to create or draw a catenary curve as a polyline by specifying the start and end point and the length and optionally a diameter (width) or sag. This can be useful for drawing freely hanging cable, hose, chain, transmission line, anchor line (anchor rode), cord, rope, string, suspension bridge cable, arch, hawser, wire or the like. The current version is creating a catenary line using the catenary formula y = cosh(x) = (e^x + e^-x)/2 and numeric analysis that results in a good enough curve for many purposes. The program does not take into account the tension of an elastic catenary, weight and so on. Support for this can be added based on user requests. A parabola is different from a catenary. The catenary is the solution to a differential equation that describes a shape that directs the force of its own weight along its own curve, so that, if hanging, it is pulled into that shape, and, if standing upright, it can support itself. The parabola does not have the same property. In physics and geometry, the catenary is the curve that an idealized hanging chain or cable assumes under its own weight when supported only at its ends. The curve has a U-like shape, superficially similar in appearance to a parabola (though mathematically quite different). It also appears in the design of certain types of arches and as a cross section of the catenoid -- the shape assumed by a soap film bounded by two parallel circular rings. The catenary is also called the "alysoid", "chainette", or, particularly in the material sciences, "funicular". Mathematically, the catenary curve is the graph of the hyperbolic cosine function. 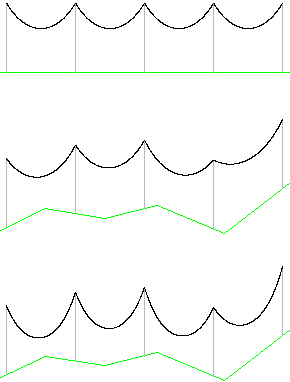 The surface of revolution of the catenary curve, the catenoid, is a minimal surface, and is the only minimal surface of revolution other than the plane. The mathematical properties of the catenary curve were first studied by Robert Hooke in the 1670s, and its equation was derived by Leibniz, Huygens and Johann Bernoulli in 1691. Catenaries and related curves appear in architecture and engineering, in the design of bridges and arches. A sufficiently heavy anchor chain will form a catenary curve. Most suspension bridge cables like the Golden Gate Bridge follow a parabolic, not a catenary curve, due to the weight of the roadway being much greater than that of the cable. 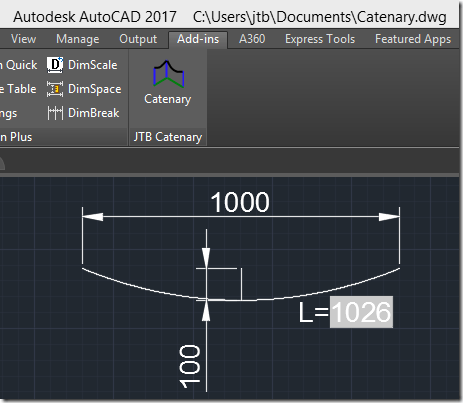 JTB Catenary is available as an AutoCAD app on the Plug-ins or Add-ins tab. 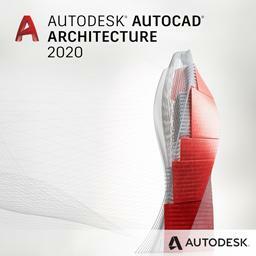 JTB Catenary trial is available as an AutoCAD app on Autodesk App Store or by contacting us. Limitation of trial is that the length is fixed to 10 meters (10,000 mm/units/inches) or a sag of 2 meters (2,000 mm/units/inches). When purchased it can be used without restrictions. 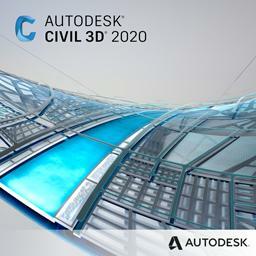 If purchase has been done via Autodesk App Store the download is available on My Downloads page. Sign in with the same account used when purchasing. Subscribe to our JTB Catenary newsletter or any of our other Newsletters. 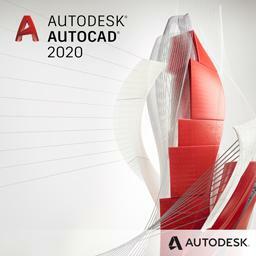 AutoCAD 2000 or later or verticals based on AutoCAD where AutoCAD 2020 is the most recent version supported. BricsCAD 10 and newer or other CAD software with LISP functionality can be supported upon request. 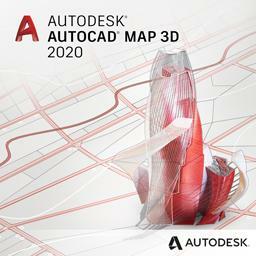 Compatible with those operating systems AutoCAD runs on like Windows Vista, Windows 7, Windows 8, Windows 8.1 and Windows 10. Older Windows versions might also work but are not directly supported. 30 USD for one license or less depending on the amount of licenses. 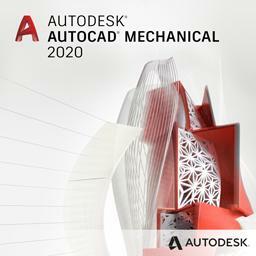 Purchase JTB Catenary from the Autodesk App Store site. Use the AutoCAD app installer that also puts a button on the Plug-Ins or Add-ins Ribbon tab. The command to start the program is JTBCatenary (JC for short). Note that the length must be longer than the distance between the start and end points. The resulting catenary will be created in the current drawing (DWG or DXF) as a polyline with the width being the same as the diameter. Below the catenary has been created with a distance of 1000 between start and end and a sag of 100 has been specified, creating a true catenary curve with the length of 1026. Added the ability to specify sag. 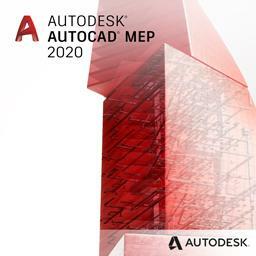 Updated installer for the Autodesk App version to support AutoCAD 2015 and verticals.